The Quickdraw detachable quad opened in 1999 and serves exclusively beginner and intermediate ski runs. Quickdraw is one of only three Italian-built Leitner detachable chairlifts in the United States, debuting at Granby Ranch in 1999. Leitner and Poma merged their North American operations in 2002. While some reports indicate the lift stopped frequently before the accident, those of us who work around lifts know that is not unusual this time of year and often not due to any mechanical problem. There’s no indication the detachable grip failed and the fourth spot on the chair was apparently empty. Quickdraw’s chairs are equipped with both restraining bars and footrests. The Colorado Passenger Tramway Board is investigating and Quickdraw remained closed today. According to the NSAA, the last fatal fall from a U.S. chairlift occurred on December 18, 2011 at Sugar Bowl, when a 7-year old boy fell 60 feet. Non-deadly falls are more common, however, with 227 reported in Colorado alone between 2001 and 2012. 86 percent of those were found to be a result of rider error, with 4 percent due to medical problems and just 2 percent attributed to operator/mechanical issues (the rest were never classified.) Yesterday’s accident was the first deadly chairlift fall in Colorado since 2002, with 1.7 billion safe rides in the years between, according to Colorado Ski Country USA. Nevertheless, as I write this, a family is in mourning and the story occupies the fourth spot on CNN.com. With more holiday weeks to come, let this terrible accident be a reminder that no matter how statistically safe they are, ski lifts can become dangerous in an instant. Already this year, we’ve seen falls from chairs at Mt. Hood Meadows, Seven Springs and Whistler with near misses at Sundance and Mt. Ashland. Many more never make the news. Be safe out there – especially with kids on lifts. Suicide Six debuts new Leitner-Poma quad chair, Red River opens its new Doppelmayr quad. Sundance employees rush a ladder to a chair, climb up and pull a hanging child back up in just minutes. A man at Seven Springs fares worse. Two of Canada’s richest families still plan to build $3.5 billion ski resort near Squamish. Telluride Mountain Village Gondola turns 20. Jay Peak’s tram is back in action. The AP runs a story on future urban gondolas in the United States. Cannon Mountain’s new LST T-Bar goes down ahead of dedication. If you enjoy this blog, Ski Inc. is a must read. Mi Teleférico to end 2016 with 77 million riders and a $2.9 million operating profit unheard of in public transportation. 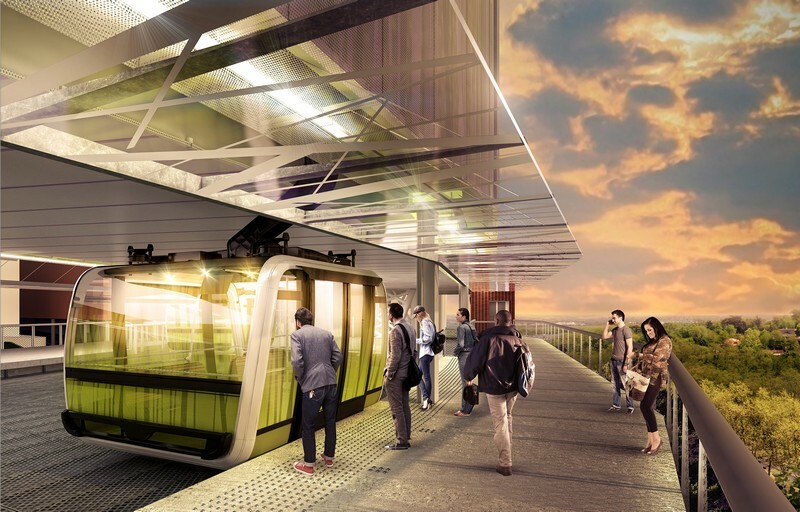 Poma inaugurates fourth Medellín Metrocable line with a fifth under construction. Jackson Hole cuts the ribbon on the Sweetwater Gondola. Local government reaches tentative agreement with Branson Gondola backers. Poma drops its latest newsletter. On the heels of inaugurating four new ropeways in Switzerland, BMF signs some major contracts. Laurel Mountain re-opens today after being shuttered for 11 seasons. Kimberley’s Easter double got new chairs over the summer, the leftovers from Fernie’s new Polar Peak lift and Nakiska before that. The Nakiska Gold Express saga continues, with 3,000 feet of new rope to be spliced into the haul rope, which is seven years old and was last spliced just two weeks ago. You can watch repairs in real time here. Jay Peak hopes to have its tram running by Christmas weekend following its own rope problems. After sustaining damage due to swinging chairs in a windstorm, Schweitzer’s Basin Express will be down for at least the next few days. Take a virtual tour of the first Doppelmayr D-Line chairlift, Waidoffen, with Direct Drive and solar arrays. A 13,000-foot long Poma gondola will dramatically improve access to a Peruvian fortress from January 2017. This is an open thread. Feel free to comment on anything lift-related. Telluride Ski Resort, which crested 500,000 skier visits for the first time last season and operates 14 chairlifts, released a new master development plan this month aimed at upgrading key lifts and adding a few new ones over the next decade. At opening in 1972, Telluride had just five double chairlifts but now, together with the town of Mountain Village, is home to North America’s largest gondola transit system and one of the most successful destination resorts. Existing conditions, including the relatively new Revelation Bowl and Prospect Bowl expansions. Telski’s last MDP from 1999 included several lift projects that are still approved but not yet completed. Most notably, the Palmyra Basin lift would rise 1,165 vertical feet lift to serve intermediate terrain above the Prospect Express, which itself was built as part of a four-lift expansion in 2001. 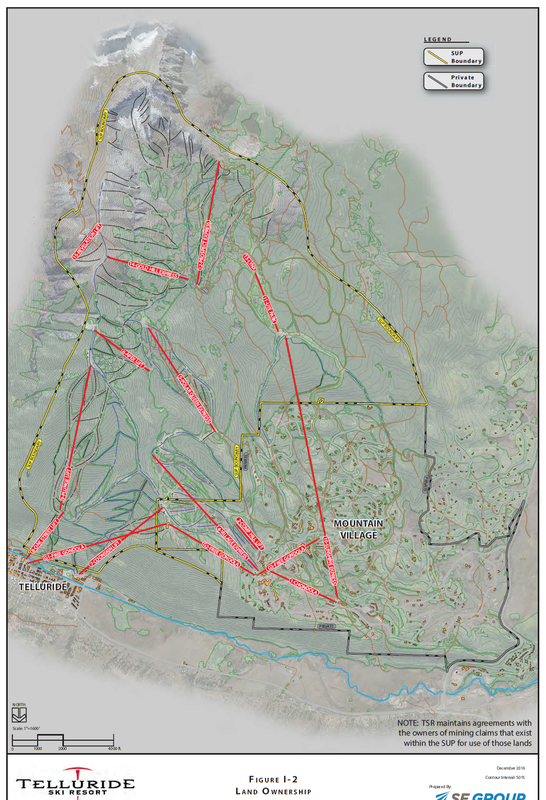 Also in this area, a new 1,500′ surface lift is approved to serve the Gold Hill chutes above the Revelation lift, which debuted in 2008 as Telluride’s only Leitner-Poma lift. More lift upgrades are added in the latest master plan. The first is bringing Gold Hill Express capacity from its 1,500 pph to 2,200 by adding more chairs. This lift was initially approved as two separate lifts with 1,200-1,500 pph each, but was combined into one lift with a higher design capacity. Gold Hill is a 2001 Doppelmayr, one of four Telluride built in one very busy summer. Another planned project that will surprise no one is a Plunge lift replacement. The existing 1985 CTEC triple has had a reduced hourly capacity of 1,042 pph ever since safety bars were installed, due to their added weight. At 6,260 feet slope length, a ride takes nearly 13 minutes. A 1,000 f.p.m. detachable quad is proposed to replace Plunge with an initial capacity of 1,800 pph and designed to reach 2,400. With strong Epic Pass sales and early snow blanketing its properties, Vail Resorts revealed today it will go big on new lifts in 2017, adding additional six-place chairlifts at Vail, Keystone and Breckenridge as part of a $122 million capital program. In the company’s first quarter results, CEO Rob Katz noted, “we remain committed to reinvesting in our resorts, creating an experience of a lifetime for our guests and generating strong returns for our shareholders.” The news follows construction of four new lifts at Vail mountains in both 2015 and 2016. 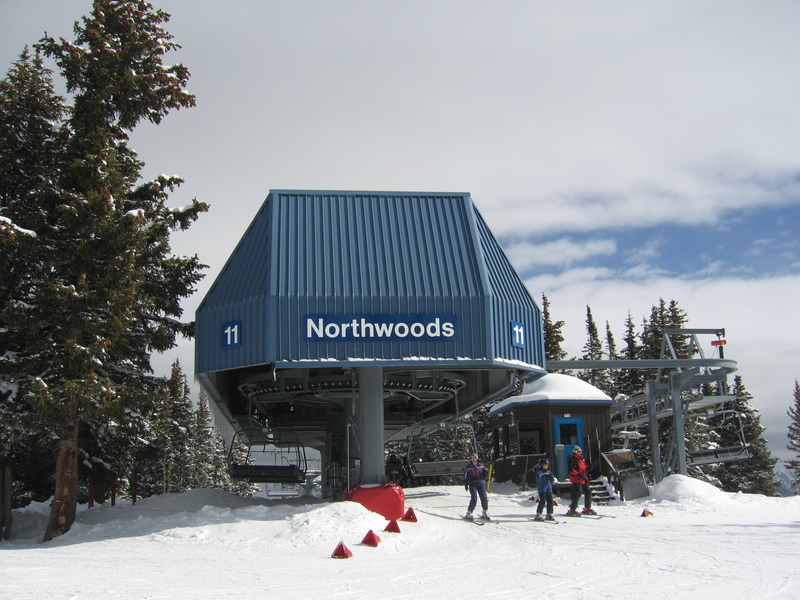 The Northwoods Express #11 on Vail Mountain will be replaced at the end of this year, the resort announced today. On Vail Mountain, the Northwoods Express #11 will be replaced, leaving only three CLD-260 first-generation detachables in service. The new Northwoods will also become the mountain’s 10th new lift in 11 years. At Breckenridge, Vail will upgrade the Falcon high speed quad on Peak 10 to a six-person detachable, allowing more guests to experience some of the best intermediate and advanced terrain on the mountain. The Falcon SuperChair is a 1986 Poma high speed quad also approaching the end of its useful life. 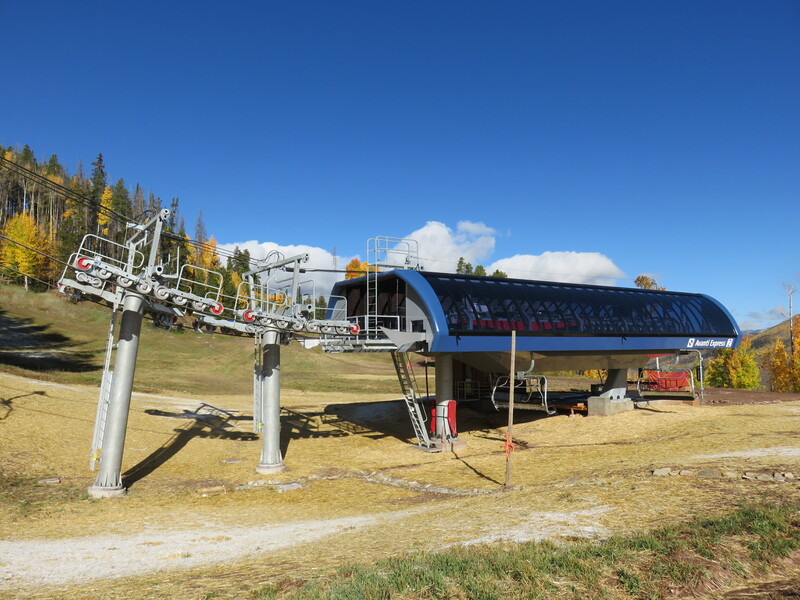 At Keystone, the 1990 Doppelmayr Uni-model Montezuma chair will be replaced with a six-pack version. 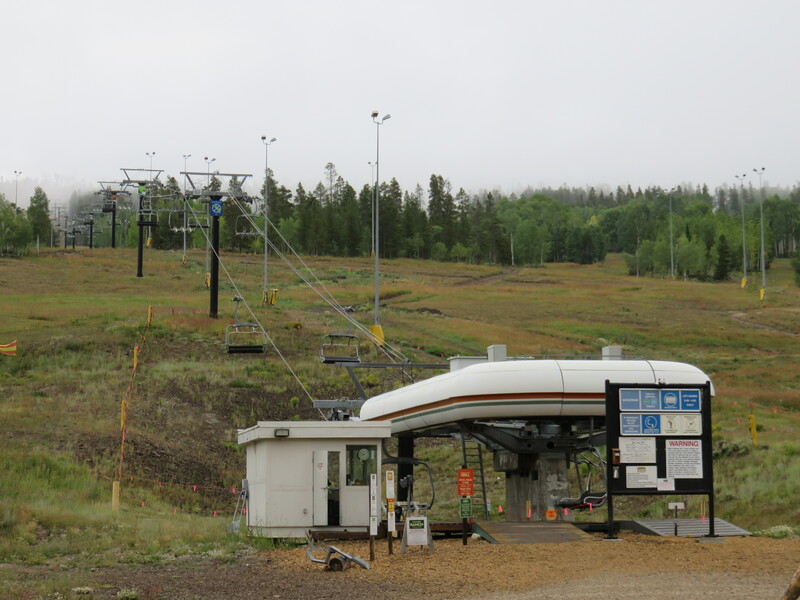 The six-place Avanti Express #2 at Vail replaced an older high speed quad in 2015 as part of Vail Resorts’ ongoing initiative to replace high-traffic lifts in recent years. Leitner-Poma is likely to build Breckenridge’s newest lift, which would extend a 16-lift streak for the manufacturer at Breck. Vail and Keystone operate a mix of Leitner-Poma and Doppelmayr lifts and could plausibly sign with either company. Noticeably absent from today’s release was any mention of new lifts for Park City or the newly-Epic Whistler-Blackcomb. Vail Resorts will detail further capital improvements in the spring but these three projects are a huge start. Update 1/23/17: Leitner-Poma will build and install all three of these lifts.